The hackathon organized by apps4citizens and hacks/hackers Barcelona the past 19th June in the Antiga Fàbrica Damm in Barcelona had a very particular aim, to empower citizens, give them the chance to be more active in their society through technology. Thus, the contest asked for apps that help getting information from citizens and sharing it with journalists. The jury decided that the best project responding to this criteria was reportr, an app prototype by Miquel Llobet an Daniel Torramilans that allows citizens to easily send post proposals to newspapers and vice versa. 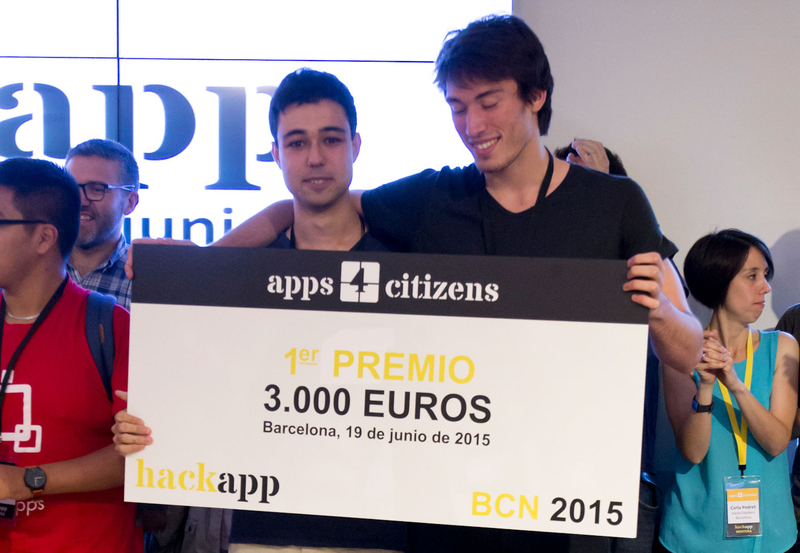 More than 30 teams signed up for apps4citizens' hackapp and around 90 people worked on their ideas all day long. The contest accepted a wide range of profiles, journalist, developers or designers and offered them different tools to work on their ideas. The iCity Platform, for developer's profiles, was presented by Marc Garriga, iCity Project engagement leader. And Gather, a platform for non developers users, was presented by Ed Maklouf. Toni Rubio was the iCity mentor, who among others, was in the contest in order to help the contestants on their project and advise them of how to approach their presentation. The awards ceremony took place at the Festivalpp where reportr received the first prize of 3.000 €. Echoes, an app that allows citizens to report incidences and vote for them as long as they are close to the problem, won the second prize of 2.000 €. Echoes is an idea of a group of students from the University Politechnic of Catalonia (UPC), Pau Tena, Cristian Pinto, David García and Eloi Hernández. Finally, the team of Marcel Farrès, Jorge Alemán and Adrià Garria won the third prize for their app Testimoni, a weekend accommodation at the Vall de Núria.